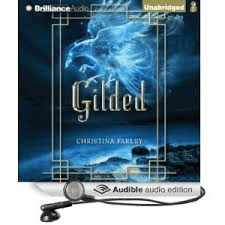 the AUDIO VERSION OF GILDED! Thank you so much Brilliance! Yes, it’s true, there is an audio version of the book as well a hardcover, paperback and kindle version. 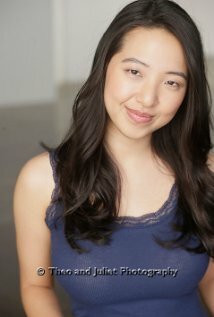 Greta Jung was cast as Jae Hwa and I think she did an excellent job at portraying Jae’s character. Greta was born in Queens and raised in New Jersey. She is a first generation Korean-American, and is fluent in both Korean and English. She is a graduate of David Mamet’s Atlantic Acting School in NY, where she trained in theater and film. Recently, she played Ursula in SCLA’s production of Much Ado About Nothing with Helen Hunt. You can follow Greta on Twitter here or check out her actress resume here. 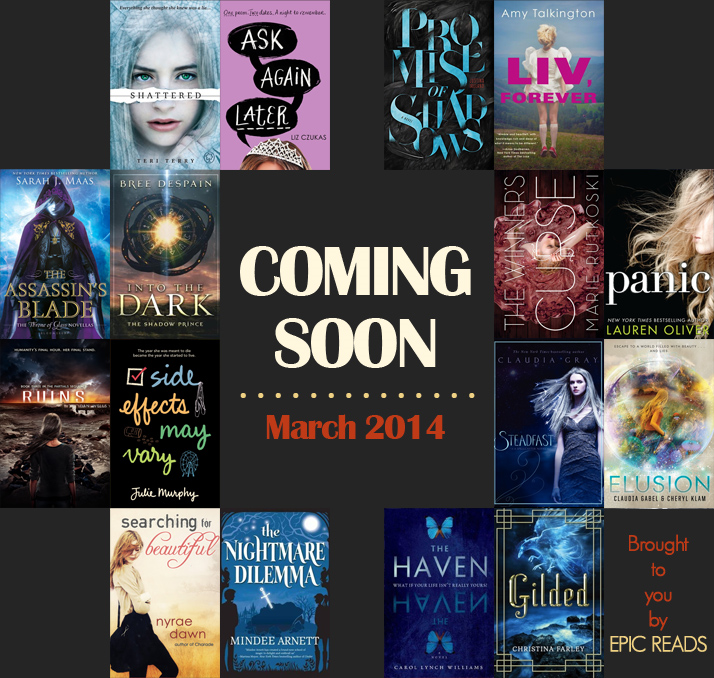 In other news, did you know that Epic Reads choose GILDED as one of their March Most Anticipated Readers? I might have screamed when I heard the news. These past few days I’ve been honored to be interviewed at the following blogs. Check them out and be sure to enter the giveaways! 10 Questions & Giveaway– over at All the Right Notes– I talk about my book trailer and the music behind GILDED. I survived my first LIVE chat on Google Hangouts! The fabulous Rachel Silberman from Reading In Twilight interviewed me. You can go here to watch it and enter the giveaway or down below. In spite of my internet going out, both my computers acting up, and hers shutting down, we managed to complete the chat! (I know, crazy right? )We had a blast in spite of the craziness, plus there is a giveaway there too! Samantha Fountain interviews me here at her beautiful blog. Today I’m thrilled to be interviewed over at Meg Spooner’s blog, the author of SKYLARK and THESE BROKEN STARS, in her In Search of the Write Space feature! Check it out here for pictures of my writing space, a video of me explaining it plus a giveaway! 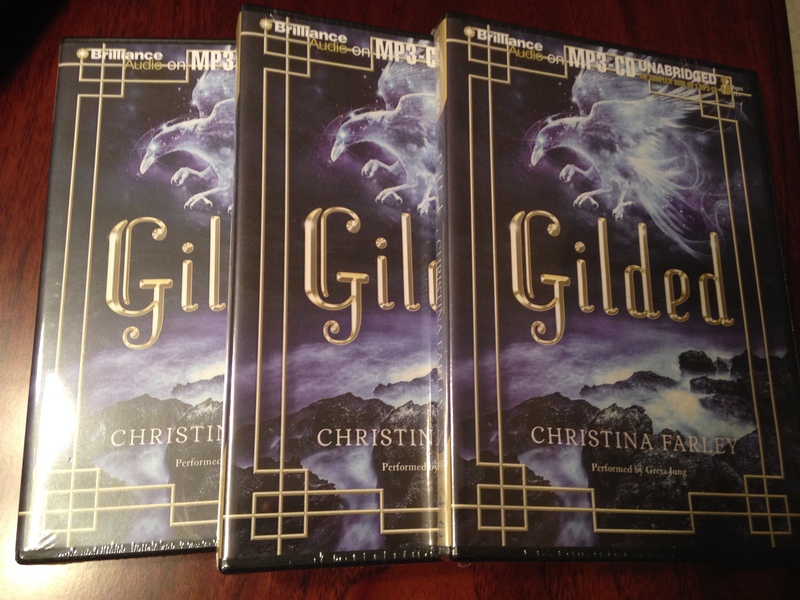 Big congratulations to Miranda Eduardo and Amy Mays for being the winner of Gilded’s sequel, SILVERN, giveaway! Your boxes of books are on their way! Don’t forget to come to GILDED’s Virtual Launch right here on my blog on March 1st for a day of inspiration and giveaways!